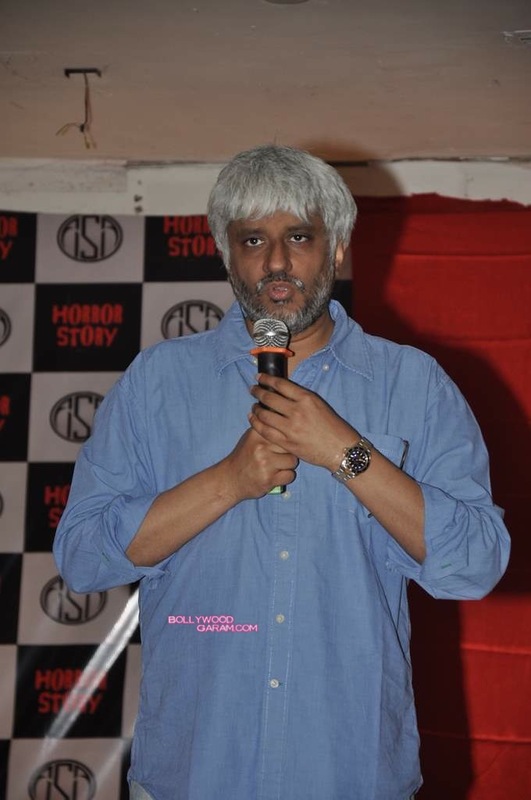 BollywoodGaram.com: Indian filmmaker Vikram Bhatt is back with his upcoming horror movie ‘Horror Story’, which is directed by Ayush Raina.The promo video of the new film was released at Tulip Star hotel in Mumbai on August 21, 2013. The movie will feature TV actor Karan Kundra, who will be making his big screen debut. The new flick also has a few newcomers, including Ravish Desai, Hasan Zaidi, Nishant Malkani, Aparna Bajpai, Sheetal Singh, Radhika Menon and Nandini Vaid. The story of the movie follows seven youngsters who challenge each other to stay at an infamous hotel, which is located at the heart of the city. However, the youngsters did not know that the night at the hotel can turn into the most horrendous night of their lives. In a press release, Bhatt said that viewers need to be aware that this is a horror movie from the first scene to the last scene. Horror Story will be released on September 13, 2013.